With Marvel’s reputation for making hit movies firmly secured, Thor: The Dark World premiered to a built-in audience. 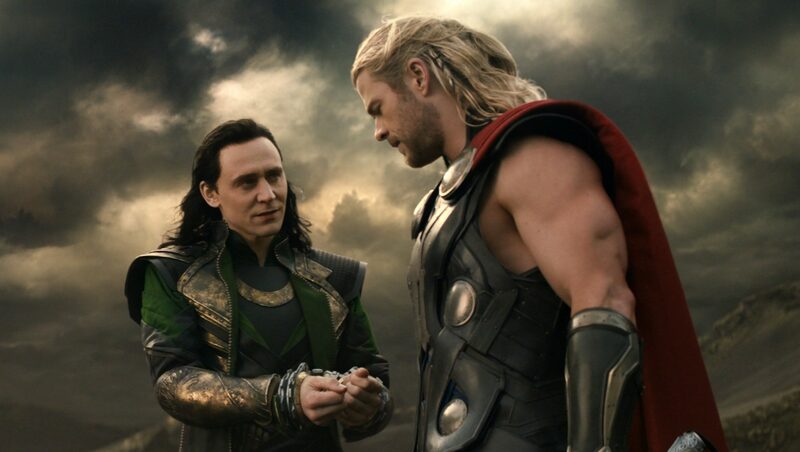 While Thor still isn’t as popular as Iron Man or Captain America, The Dark World saw a higher box office draw than Thor, jumping from $181 million to $206 million in domestic gross. I think the key word that the director, actors, writers, and producers keyword-ed in the latest chapter in Norse god Thor’s life was “fun.” And that is a good thing. Who doesn’t like fun? The serious world of Christopher Nolan’s Batman has its place, too. But for a jaunty comic book action romp, you want fun. Thor: the Dark World isn’t really trying to say too much about society. We’re just having a great ride. First and foremost, the movie is really funny, which makes everything better. Seriously, Kat Dennings and Stellan Skarsgård should take their act on the road. When they quit their days jobs? Right thing to do. There is all kinds of ridiculous crap going on, the Dark Elves want to destroy all the realms of, I don’t know, existence? Reality? Whatever. It doesn’t matter. The Dark Elves are the bad guys and the Thor gang are the good guys. Except for Loki! He’s all over the place! I would say that anyone who is too worried about minor plot points are totally missing the point. 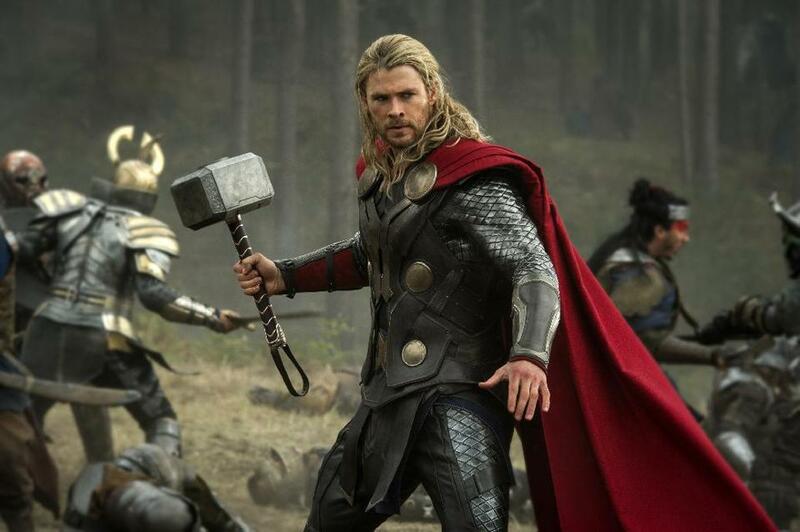 Thor: The Dark World is like a James Bond movie. I don’t have to understand the plot exactly, I just have to have keyword: fun. Remember the plot of Goldeneye? There’s a satellite that will destroy banking somehow! This is like that, except everything and everyone will die (or live forever in darkness, which would kill us, too, I suppose). The Dark Elves have some character moments, but I didn’t really understand their motivations. Christopher Eccleston is an amazing actor (he was on Cracker! ), but doesn’t really get to do a lot but channel intensity and hatred, which he does very, very well. So really, all we have is camaraderie. And we have an embarrassment of riches with great actors oozing with chemistry (sounds gross! But it’s good!). First off, the great Chris Hemsworth has much fun with this role, which I imagine would be tempting to play really straight. Thor is a fun-loving guy who likes a good fight or being fondled on the train by a comely lass. Fricking Anthony Hopkins is, of course, pretty darn good as well, playing Odin, although perhaps not at his Remains of the Day best for subtlety. Okay, Hopkins isn’t funny. I’m always excited that Rene Russo is in these movies. She’s so great! And they gave her at least two great moments. Kat Dennings is, for whatever reason, really enjoyable in these movies too– although I find Two Broke Girls to be odious. And I was so happy that the excellent Idris Elba has at least one really important thing to do. But he makes every scene count. And beyond funny are the oft-praised Tom Hiddleston as Loki and Stellan Skarsgård as Dr. Erik Selvig, who are doing that theater thing where they chew through scenery and go big for everything. As I’m typing this, I can’t really say enough good things about this cast. Maybe that’s one of the things that the Marvel movies really get right, find great actors that aren’t in vogue at the moment. I still can’t believe that Tommy Lee Jones and Stanley Tucci were in Captain America: The First Avenger. And remember that two minutes of screen time in the Avengers for Harry Dean Stanton? Who has more indie creed than the Repo Man himself? Underused in this movie: Zachary Levi, who I thought would get to play up his comedy chops a little more; Ray Stevenson as Volstagg, who has a few nice moments, but I could always use more Ray Stevenson. And I really thought we’d see more of Lady Sif, the excellent Jaime Alexander. She likes Thor, too! Just as much, if not more than his Earth-love, Jane. Couldn’t we have had more fun with the ladies? The action is crisp and fun with few real surprises, even though they try to manufacture a few. You know, special effects and people punching through things. Some of the action was played for laughs, like how Thor can’t fly without his magic hammer or an excellent cameo by what I believe is a Bilgesnipe, mentioned in passing in Avengers. I felt like this movie was, if not better directed than Kenneth Branaugh’s, perhaps just better conceived– or maybe they had more money to work with. We get to see more of it would be like to actually live and work in Asgard. And there’s a very short scene in a bar that if it was within fifty miles of my house, I would go every night: open fireplace, ale on tap, long wooden tables, and I’m sure a pig roasting on a spit just out of sight. But it’s not the kind of movie where I worried too much about the lighting in the shots. My wife, the beautiful Kelly, pointed out that the little moment after the credits in this movie might be the best out of any Marvel movie because it actually makes the movie better and resolves a story line. Oh, hey. Did I forget about Natalie Portman? She’s in it. 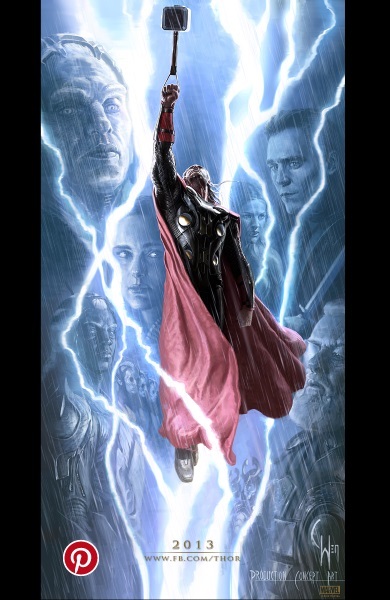 If you want your movies heavy on the humanity, positing our place in the universe, then perhaps Thor: the Dark World isn’t for you. But if you’re looking for a place to pour popcorn down your mouth hole and have a few laughs, then look no farther. One more thing, and here we’re going to venture slightly into spoilers territory. We learn in this movie that the Tesseract from the Avengers wasn’t the comic’s cosmic cube, as it seemed to be, but rather one of the infinity gems (stones in the movie) from the comics. For those of you who don’t know that much about comics, they are, as they are portrayed in the movies, very dangerous weapons. So if you want to see a nerd in your life very happy, watch them closely when the Collector shows up in his crazy-haired glory, played by the always fun Benicio Del Toro. I can’t recall anything capturing the rhythm and look of the original Star Trek series so completely, although we can all agree that those few moments were more cinematic. So I guess we’re set up for Guardians of the Galaxy. Thanks for reading! Be sure to download our free Guide to Marvel Movies, with a timeline, who’s who, post-credit scene info and Infinity Stone tracking. Rachel McAdams or Elizabeth Banks – Take the Quiz!